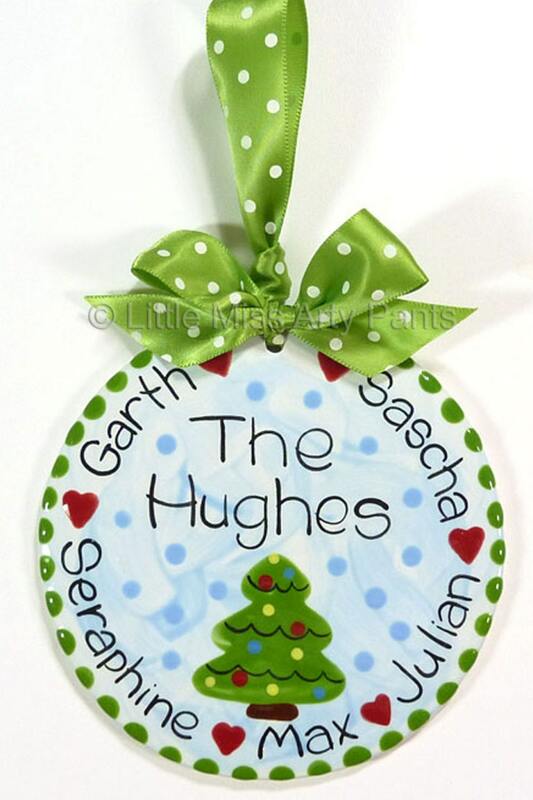 This 5" Round Flat Ceramic Ornament is hand painted, glazed and kiln fired per order. 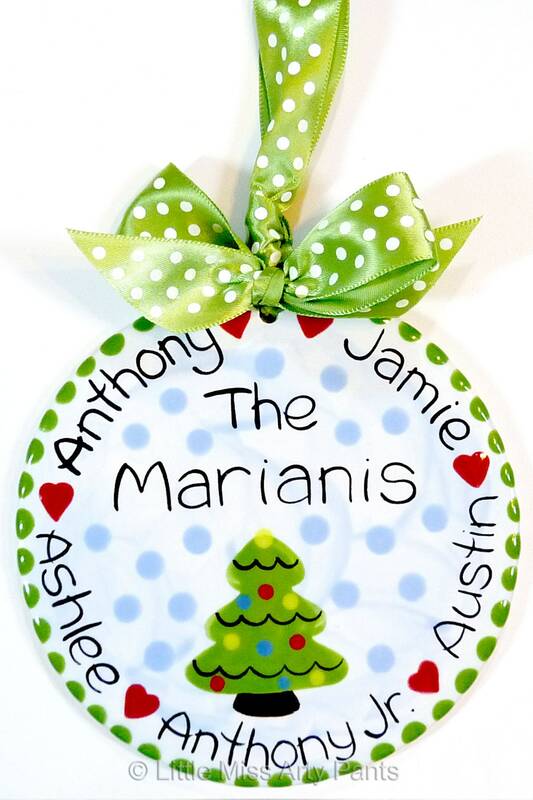 Each ornament includes the family's last name and year or you could enter a first name and year. Any text is available as long as it will fit on the ornament. Matching ribbon is attached for hanging. A one-of-kind ornament for your tree and makes a great gift for the holidays. 2. 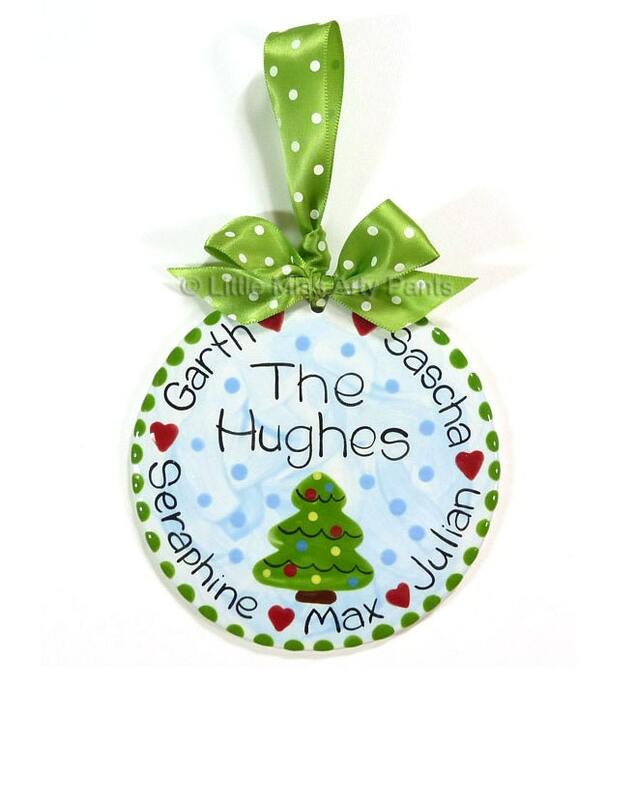 Up to 5 first names for around the ornament.